On May 21st 2012, Universal is set to release the last three solo albums which Sandy Denny recorded for Island Records during her lifetime. The release coincides with a special tribute tour – “The Lady: A Homage to Sandy Denny” – which commences on May 19th. 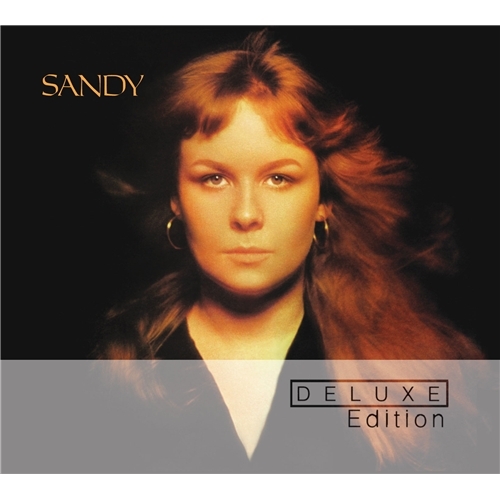 Each of the three albums is now presented as a deluxe two-disc edition: SANDY, was released in September 1972 and celebrates its 40th anniversary this year; LIKE AN OLD FASHIONED WALTZ, from June 1974 and RENDEZVOUS which was released in May 1977, less than a year before her death in April 1978. In the intervening years Sandy Denny’s reputation has escalated and it is largely down to this sequence of solo albums (which are built mostly around her own compositions), that she is now widely regarded by musicians and critics alike as Britain’s finest female singer songwriter. The expansive bonus material includes home and studio demos, alternate takes and live recordings pertaining to each release. Of special note is a radio broadcast on Disc Two of SANDY, containing eight unadorned songs recorded live on a tour of the US at Ebbets Field, featuring tracks from the SANDY, and THE NORTH STAR GRASSMAN AND THE RAVENS albums, as well as the only live performance of “At the End of the Day” from LIKE AN OLD FASHIONED WALTZ. There is also a previously unreleased band version of “The Lady” and a live version of “Whispering Grass” from Dutch Television and an alternate take of the R n’ B tinged “Take Me Away” from the RENDEZVOUS sessions among many other rare or deleted extra tracks. All three albums contain a wealth of well-known guest musicians including the likes of Richard Thompson, Jerry Donahue, Allen Toussaint, Steve Winwood, Diz Disley, ‘Sneaky’ Pete Kleinow and John Kirkpatrick to name a few. SANDY, widely regarded as Sandy’s finest solo album, features such memorable Denny compositions as “The Lady”, “It’ll Take a Long Time” and “Listen, Listen” plus “The Quiet Joys of Brotherhood”, the last traditional tune she recorded, underpinning an astonishing multi-tracked vocal arrangement of a Richard Farina lyric. 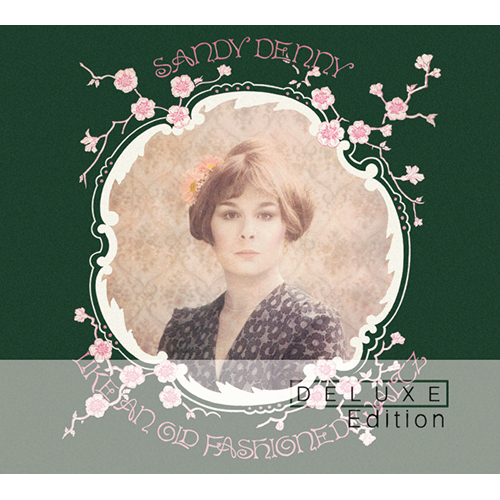 LIKE AN OLD FASHIONED WALTZ is Sandy’s most romantic sounding record; built around her own compositions it includes the exceptional “Solo”, and “No End”, “Carnival” and “At the End of the Day” as well as two sumptuous jazz standards, “Whispering Grass” and “Until the Real Thing Comes Along”. 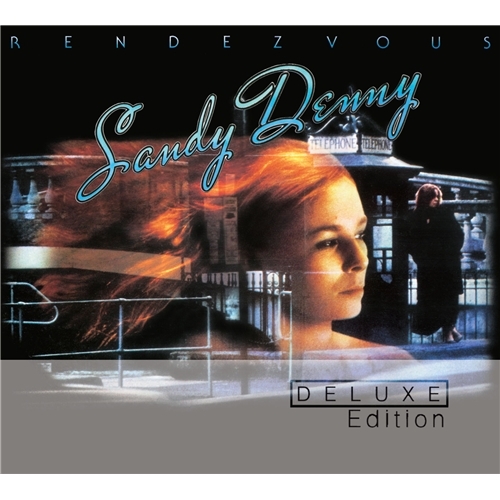 RENDEZVOUS shows a departure in style for Sandy, with several more up-tempo recordings, like “Take Me Away” and a cover of Richard Thompson’s “For Shame of Doing Wrong”. The album also includes an unusual session cut live with the band and strings which yielded gems like “I’m a Dreamer” and “No More Sad Refrains”, the haunting, orchestral “All Our Days”, and “One Way Donkey Ride”. These new editions coincide with a UK tour entitled “The Lady: A Homage to Sandy Denny” which will present an evening of classic songs by Sandy featuring Joan Wasser (aka Joan As Police Woman), Maddy Prior, Jerry Donahue, Dave Swarbrick, Green Gartside, PP Arnold and Thea Gilmore, who last year succeeded in bringing to life a selection of Sandy Denny’s unrecorded songs on the album DON’T STOP SINGING.